Are you in need of a last-minute neighbor or co-worker Christmas gift? Well don't you fret, because I've got your back! 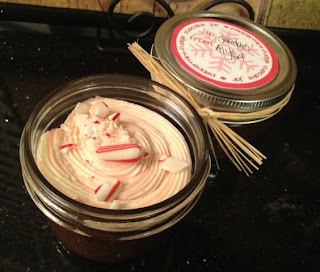 Not only are these little jars adorable and look so festive, but they are amazingly delicious! I have given these jars away for gifts for two years straight! I just love their presentation, but even more I love knowing that they not only look great, but taste great, too. Ok people, STOP what you are doing and pay attention! Because I am about the share with you one of the greatest side dishes known to man. Remember when I told you that I was going to share with you my stuffing recipe here? Well, I'm not going to. Because my stuffing that I created was absolutely nothing compared to the amazingness that I am going to introduce you to now. This stuffing has been served by the amazing Executive Team at my works' Christmas party for two years running, and it is honestly my very favorite part of the whole event! So much so that I ate it for breakfast the next day. Judge me. I don't even care :). Growing up I was obsessed with my Grandma White's Thanksgiving stuffing. It really is the bees knees. I LOVE dry stuffing - which hers was dry, and honestly couldn't have cared less about "wetter" stuffing. Even Stove Top stuffing is too wet for me. Well, this stuffing that I am sharing with you today is not dry and normally wouldn't be my "type". Yes, I now have a "type" of food I guess. Anyway, this stuffing was out of my comfort zone, but when this stuffing was presented to me I dug in and tried to be open-minded. It blew me away! The flavors and spices and BUTTER - oh my goodness gracious. 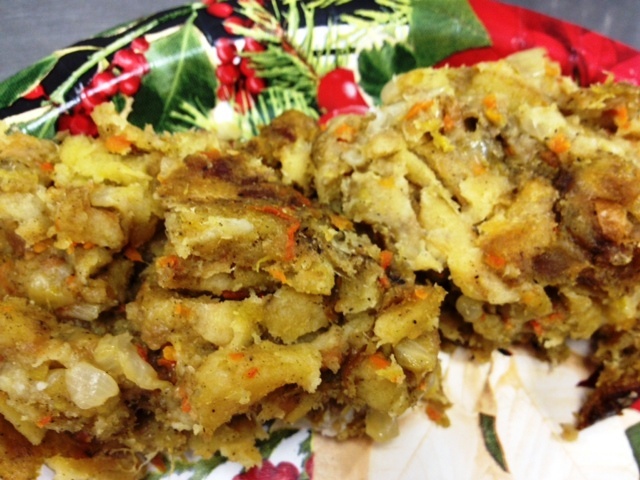 It is pure stuffing heaven. Happy December! I cannot believe it is almost Christmas! This year I think we are going to be scrooge's and not even put up a tree. Not because we don't love our Christmas tree, but because right now our front room is still bare, and it would practically be the only thing in the room. It seems like a lot of work for it to just sit there all by its lonesome, without even any furniture for us to sit in to admire its beauty. We are buying each other couches for Christmas, however, so our room will soon not be so bare and next year I will definitely be more festive! And I swear this year I am going to buy new tree decorations after Christmas when they are on sale! I have told myself that I was going to do this the last 2 years, but I think the hard part is where you won't even get to use them for almost a year. Doesn't make the shopping as much fun as if it would if you were to buy them right before. But this year is the year. 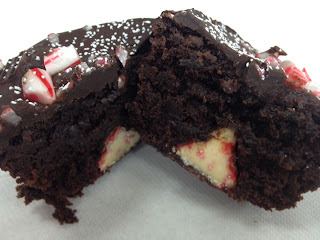 I am in LOVE with these peppermint kiss brownie bites! Only mine didn't really turn out to be 'bites'. I didn't make mine in a mini muffin tin, but in a regular-sized muffin tin. I made these for dessert for the students, and dessert is a really big treat since they only get dessert about once a week, so I figured they were appreciate a bigger 'bite'. And man, they did not disappoint! I could eat one of these every single day, especially during the Christmas season! You must make these for your next Christmas party or family get-together, or maybe just because it's a Tuesday. Whatever your reason, it's a great one if you have one of these little guys in tow!